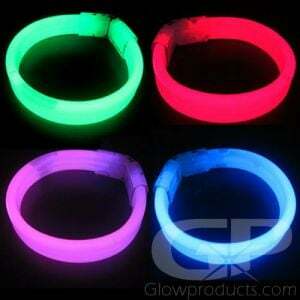 - Bright 8 Inch Glow Bracelets! - 5mm Thick with Break-away Connectors! - Gow Parties! Festivals! Fundraisers! 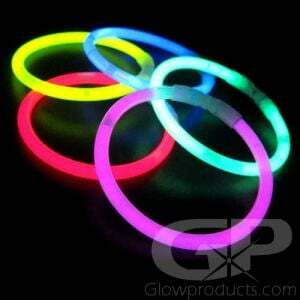 Our bright economical Standard 8 Inch Glow Bracelets are an awesome way to bring some glow to the party! 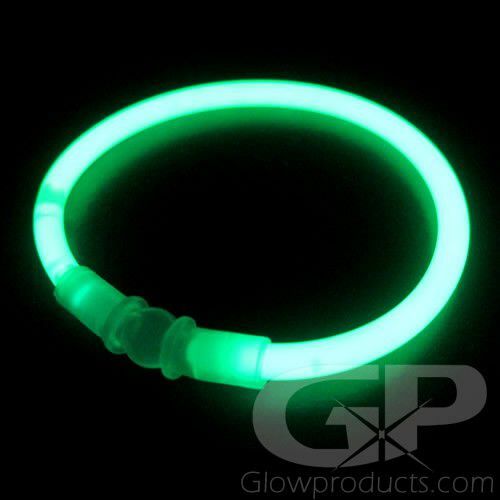 These versatile 8" glow stick bracelets can be used as a glowing bracelet or anklet by using the supplied connectors. Try putting two or three together for a great looking necklace or wrapping around your friends, yourself, or anything that needs lighting up! 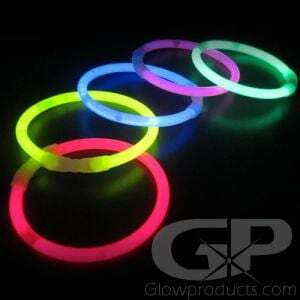 Glow Bracelets are great for marking team members during night sports like glow in the dark frisbee and night football. 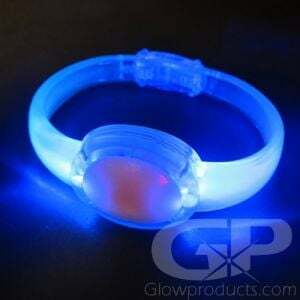 Keep track of the kids when out in the dark by lighting them up with glow bracelets during Halloween or when camping or in crowds at theme parks, fireworks displays or parades! 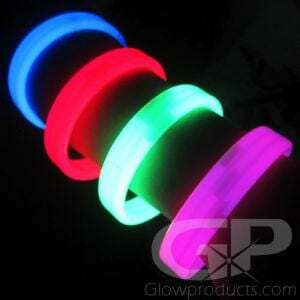 The glow bracelets can be used in fun glowing center pieces and as glowing party decorations. 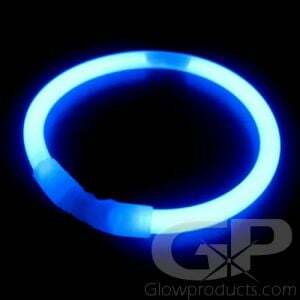 Glow Bracelets are also great sellers for school dances, concerts, fairs and festivals! 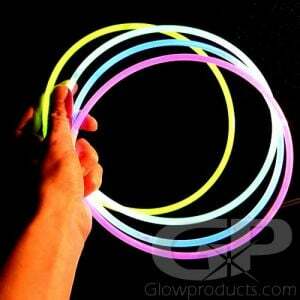 Instructions: Bend along the length of the glow stick bracelet enough to break the inner capsules. 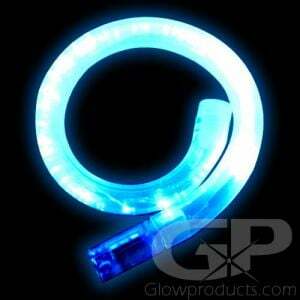 Shake to mix and start the glow! 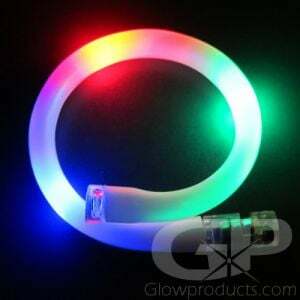 Standard Glow Bracelets are 100% waterproof and come with break away connectors. 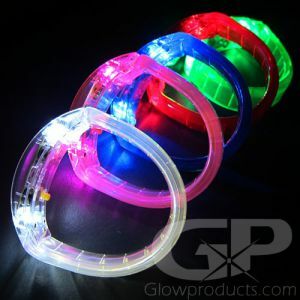 Glowproducts.com sells only high quality Duralume 8" Glow Bracelets.